A majority of our projects are located in Nicaragua. To find out more feel free to contact us! 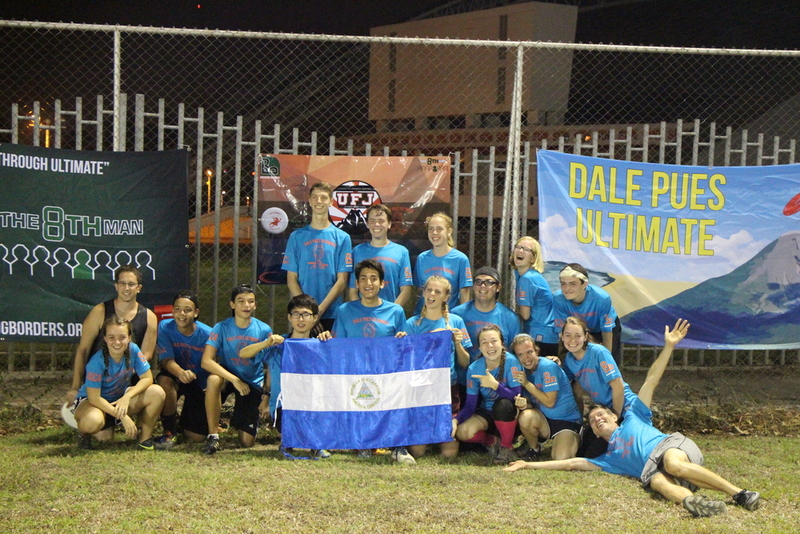 Dale Pues Ultimate is Breaking Borders' first youth team in Nicaragua. They are also the first official Ultimate team of any kind in Nicaragua. We are so proud of all they accomplished in their first year! The Tornados were the first official completely Nicaraguan club team. They were formed in December of 2016 and have grown exponentially over the last year participating in 2 high level tournaments in 2017. 7 of their players have passed through our Mentor development classes and we are so excited to see them keep growing in the years to come. They are the future of Nicaraguan Ultimate. Zeke, our Director of Development coaches this team. The kids in Ciudad Sandino listening to Zeke give a lesson on throwing. This is our main community outreach just outside of Managua, Nicaragua. Every Friday morning we come to teach and play Ultimate with the kids in Zone 6 of Ciudad Sandino. The kids have loved getting to play and learn the values that come from playing. We are happy to say that we are working with the UNC Pleiades- University of North Carolina's Women's Ultimate Team. They will be applying THE DISC during the 2018 college season on their team. We are excited to see them grow and accomplish all of their goals.